Wow! This is really turning into a mess! “Kmart is apparently letting us know what a wonderful retailer they are. They have now decided to tell everyone that the coupon from their site is fraudulent. Hmm…the coupon came directly from them. Maybe they didn’t realize so many people would print it! Maybe they underestimated the power of couponers. Anyway, they will no longer accept this coupon. **UPDATE- Looks like unless you live in Chicago, they are not honoring the $10 off coupon, in fact it looks like they have pulled it from their site…. I am leaving this deal up incase you had a chance to print yours off! Final price: Around $1- $3 total! Free multi-packs of gum at Kmart! Do you have a Kmart? This week Kmart stores have the Orbit Multipacks on sale for only $1.00. If you use the $1.00 off coupon from here (you can print it twice) You will be able to get FREE gum. Thanks a Thrifty Mom! I do not have a Kmart, and weirdly I don’t think I have ever been in one… we just have never lived in a place where they were. So, thanks to other bloggers who do they can bring you these great deals! Thanks Deal Finding Chik! Thru January 24th, Kmart is offering a $3.00 Catalina to use on your next purchase when you buy 2 Fragrance Collection by Glade Soy Candles or Reed Diffusers!! Here’s how you can turn it into a moneymaker! ***Then, you can send in for the $5.00 SC Johnson Rebate HERE to turn it into an $8.00 Moneymaker!!! If you still have any of the $5 off any Mr. Potato Heads, you might want to use them at K-Mart this week. Thanks to Anthony Bu, who says they are on sale for $6.99 using the $5 off makes them $1.99, a nice price for a kids present! I looked through all the coupons online and it looks like they are all gone. I know I printed some off a few weeks ago… now I just have to find them! 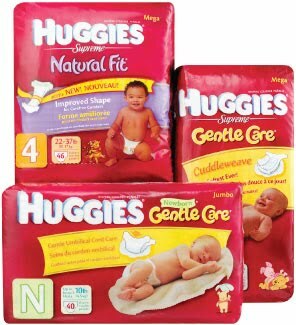 This week, Kmart is running a fantastic promotion on Huggies diapers and wipes. For each 3 participating items you purchase, you’ll receive an instant $6 savings! Combine that $2 per pack savings with coupons and you’ll score diapers for around $5! If you purchase 3 packages of the Pure & Natural diapers and use three $3/1 coupons, your final total will be $14.97, which is only $4.99 per package! Don’t forget, you can also submit these for the Caregiver’s Marketplace rebate and get an additional .75 back per package! Thanks Utah Deal Diva! This post is from Spectacularsavings, this is also her picture. I do not have a Kmart near me so I am not familiar with the doubling there. Thank you Savings for reminding me that you need to sign up for the rewards card in order to get these deals, go HERE to read about it. Kmart is, indeed, doubling!! There were several signs at my Kmart giving information about the promotion! *You can double up to 5 coupons each day. *You can double coupons up to $2 (doubling to $4). I can’t remember the limit of like coupons but I believe it was 4. I will get the rest of the guidelines to you as soon as I find them! I don’t have a Kmart anywhere near me, so I can’t help much on this one… but maybe one of you can? Kmart has started offering a new rewards card, the card lets you double up to 5 coupons a day up to a $2 value! This seems like an amazing way to score some free items almost every day! Go HERE to take a look at the program and sign up. Let us know if you have tried it! I am really wishing I had a Kmart right now! Final cost FREE + a $0.50 in overage to go toward other items. Used B1G1 AND $1 Coupon that doubled to $2, final price $.49 each and bought 8. KMart great deal on cereal and money maker! 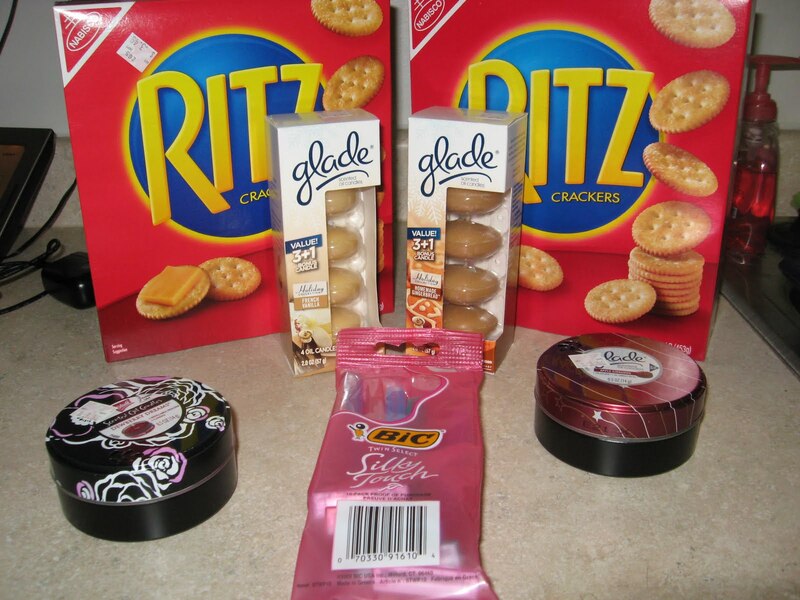 This deal is from Money Saving Mom, I do not have a KMart, so those of you who do might want to jump on this! Even if your store isn’t doubling coupons, it would only be $0.50 per box after the coupons and instant savings. 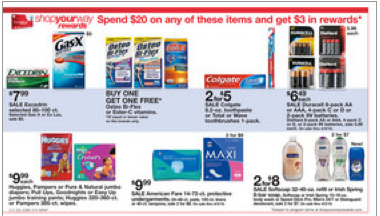 See another money-maker at KMart this week here and more deals at KMart this week here. You are currently browsing the archives for the Kmart category.